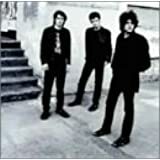 I have loved Black Rebel Motorcycle Club for about six or seven years now. I got into them after the release of TAKE THEM ON, ON YOUR OWN. A band from my native state, a distinct vocalist, moments of hard rock, but a band that could also survive slow songs without turning cheesy. After TAKE THEM ON, ON YOUR OWN, BRMC released HOWL, which, in my opinion, is an amazing album. A rootsy, southern rock, acoustic album that strays at times into deep soul and gospel music. Two genres I'm no real fan of, but when BRMC is the vessel, they managed to knock it out of the park. Then came BABY 81. And I think the two real problems with BABY 81 were 1. That it followed such an amazing album as HOWL, and 2. That it was so different from HOWL. For myself, I was severely disappointed because what I really wanted after HOWL was HOWL VOLUME 2. BRMC took things in a different direction, and now that a few years have passed and I have gone back and given BABY 81 another chance, I actually like it quite a bit, even though I feel some songs are a bit lengthy when they don't need to be. So now onto BEAT THE DEVIL'S TATTOO. This album maintains the same guitar power as BABY 81 had, but injects into it that southern roots feel that made me fall in love with HOWL. In fact, the whole album is so nearly a perfect hybrid between the previous and subsequent albums that I really feel like this should have separated the two. I think I would have liked this album more, and BABY 81 more as well. 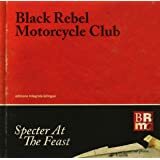 The album isn't new or original really, even as far as the previous work of BRMC, but it's a good listen, and a freshness lacking in the worship surrounding Miley Cyrus and Justin Beiber. The lyrics are also maturing. One thing I have always loved about BRMC is how well the emotion is conveyed in the vocals. "I'd never known her to cry/But this time was different for sure/She's shakin' with tears in her eyes/As she picks up what's left of the night" The beginning of the song 'The Toll,' is a fantastic break-up song, filled with simple drum and guitar chords, backed by a female vocalist (a rarity in BRMC). This bare style is what endeared me to HOWL, that something with so little physical substance can have such a profound effect. One last thing to mention is that BEAT THE DEVIL'S TATTOO seems longer than it actually is owing to how many slow songs there are on the album. The album barely reaches an hour in length, but because there are so few "rock" songs, it will feel longer. I'm not sure whether that's a good thing for others, but HOWL had mostly slow songs, and it is my favorite. 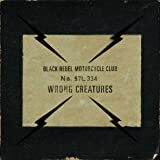 In conclusion, you really can't go wrong with any BRMC album, and anyone who liked HOWL should definitely check this album out. Anyone who sort of stumbled into BRMC with BABY 81 and thought it was OK should still check this out. Sometimes BRMC zigs when you expect them to zag, but I, at least, will follow them wherever they go. Let's get the main point out the way: this is a fantastic album. 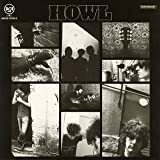 For a lot of BRMC fans, the question with each release is whether we would see a return to the bluesy acoustic sound we heard on Howl. This CD opens with a steady guitar strum that makes you think that this might be a return to Howl's sound..and then things get kicked up a notch, and you realize that this is going to be a fun ride. For the uninitiated trying to decide where to start with BRMC, I would break their albums down as follows: BRMC (their self-titled first album) is solid Jesus & Mary chain - influenced rock. Take Them On..., (their 2nd CD) is darker and less catchy but still within the same soundscape. Howl is a break from form, with an all-acoustic sound. Baby 81 is poppier than their previous CDs, but a return to the full-band rock sound. Beat The Devil's Tattoo is closest to Take Them Own... stylistically. If Baby 81 was a bid for a more mainstream sound, this album sounds like a loud embrace of their indie roots. It's thick and gritty and not really that catchy, but it's still my favorite CD of 2010. Other reviewers have hit on a lot of the highlights, but I'll add a few favorites of my own: Aya (a really dark and powerful jam) and the driving title track. I'll also join the chorus of praise for the closer Half-State, which proves that sometimes songs are good enough to deserve ten minutes. If you're hungry for good old fashioned rock without the sentimentality or emo vibe of most current bands, then this is the album for you. 5つ星のうち4.0The best Jesus and Mary Chain album yet. I loved Baby 81, have listened to Howl a couple of times, and haven't heard their earlier albums. This one is deeper, darker, and denser than Baby 81, more fuzzy, with more distortion. Which is all good. Who doesn't like distortion? I generally like it, even if the vocals are buried down in the mix and harder to hear. But it is very reminiscient of the J & MC. It's also more monotonous -- there is no "Killing the Light" or "666 Conducer" or "All You Do is Talk" on this CD. Baby 81 really grabs my attention and it's hard for me to do anything but listen to it when it's on -- Devil's Tattoo I can listen to at work because it's not as demanding on my attention. Black Rebel Motorcycle Club (BRMC) introduces its first full album unders its record label. Leah Shapiro has stepped in to fill the gap of drums (Jago out of seat). This maybe BRMC teasing with their discography as a cumulative influence snapshot. 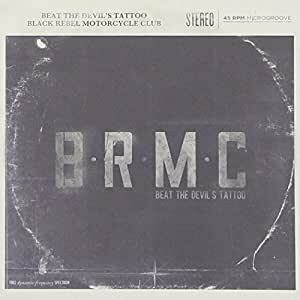 BRMCs debut (BRMC) to music industry is one of R&R revival (with influence from JAMC). 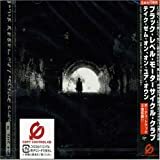 BRMC progressively teased with Psychadelia with a blues-timge in their sophmore release (Take Them On, On Your Own). BRMC almost ditched all electronics for the natural sounds in Howl (and 2nd Generation Bob Dylans shines off both Hayes and Levon-Been). 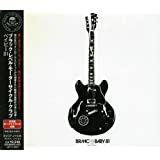 BRMC went back to the heavy stuff on Baby 81. Beat The Devils Tattoo is the cultivation of all previous album designs and a new drum backdrop to the mix. Each track brings a sharp undertone of a previous album, but was well distributed to avoid a pattern forming. Leah Shapiro really complimented into this band and hopefully as the new permanent drummer. This is also the longest album produced by them. Definitely one of best albums of 2010 - but will remain underrecognized most likely. BRMC will remain a low key band with a devout fan base. I have immense respect for these guys (and lady) in producing some great music to avoid the present day typical "noise and yammering so-called music". While this is not their best work, its a good way of returning from a long hiadus and recovery. Will see them April 9th - cannot wait.